12:12 AM - Elizabeth Freer mentioned hmarie186 in post New here, tips for acclimating new gecko? 04:30 AM - Elizabeth Freer mentioned hmarie186 in post Time to add a CHE? 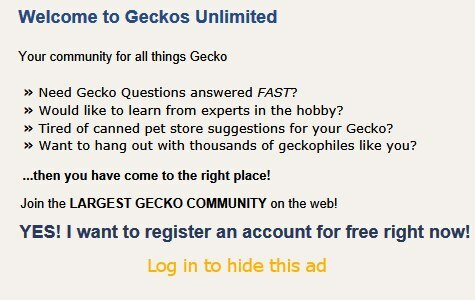 03:50 PM - FoxGeckos mentioned Elizabeth Freer in post new member of my gecko family ! 09:08 PM - Elizabeth Freer mentioned Marty in post Vastra likes to read the forum too!